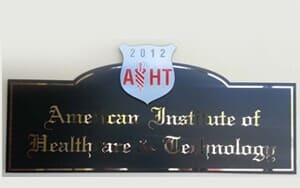 Here at The American Institute of Healthcare and Technology (AIHT) we have made it simple for you to begin your educational future in the medical field. The initial step to AIHT’s admissions process is to schedule an appointment with one of our friendly advisors. During this appointment your admissions advisor will answer any questions you may have while also gathering facts and information about you. At the end of this appointment your advisor will recommend which program will be most successful for you based on your own interests and background. Upon meeting with an AIHT advisor you will be given a tour of our facility. The initial step to AIHT’s admissions process is to schedule an appointment with one of our friendly advisors. During this appointment your admissions advisor will answer any questions you may have while also gathering facts and information about you. At the end of this appointment your advisor will recommend which program will be most successful for you based on your own interests and background. Upon meeting with an AIHT advisor you will be given a tour of our facility. You will be given the opportunity to visit our classrooms and medical labs first hand and sometimes you may even see classes in action. AIHT offers no interest extended payment plans. Please ask an admissions advisor for more details and available options. Once you have decided that you are ready to enroll into the program of your choice, AIHT requires all applicants to pass an admission test. Each program involves minimum passing score prior to starting enrollment paperwork and getting accepted. Once a passing score on the admission is achieved, enrollment paperwork and enrollment process completion can be pursued.